I have to admit that I was intrigued when I read the summary of this book. 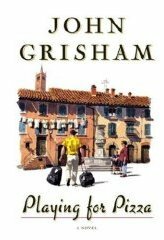 A novel by John Grisham about a third string NFL quarterback, escaping his terrible past to play professional football in Italy. Nothing about lawyers? This sounds interesting, if not just to figure out why John didn’t write about lawyers. Normally the novel isn’t quite as good, when an author writes completely out of their “comfort zone”. This used to be offered as a free book for the Kindle and was one of many I added to my account after receiving my Kindle. (If its free, its for me, right?) When reading the author “Don Brown” on the cover of this novel, I was mistaking it for a more famous Dan Brown (Da Vinci Code). 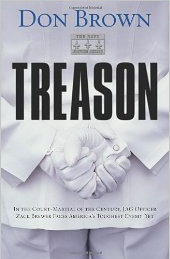 As I read the military themes unfold, my mind then played further tricks on me as I made a connection with Dale Brown’s military styled novels as the author. This is the second book by Patrick Robinson I could get my hands on. 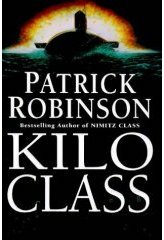 I really enjoyed reading Kilo Class and I enjoyed this book as well. It is set a couple years into the future, so Patrick gets to play with some technology that isn’t around quite yet. 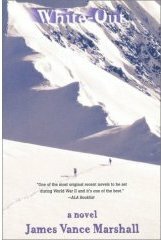 The novel is an interesting story about a seriously skilled agent from Iraq. He infiltrated Israel’s navy and was trained as a submariner. This book was an accident. I needed a new book to read, because I was going to be waiting for something. The cover looked like a decent military technological drama. Since Tom Clancy cannot write books as fast as I can read them, I thought I would give it a try. It was a decent choice. The premise is that Russia wants to sell Kilo class submarines to China. At $300 million a boat, it is much needed income for Russia. This is a book I happened on by chance. I picked it out of the new book section of the library by the title and checked it out after reading the inside cover. I’m glad that I did. While I only rate it 4 out of 5, it was an interesting book and worth reading. The book is centered on telling the story of a Royal Navy officer and his trials to survive against impossible odds. The Da Vinci Code was the first book of Dan Brown’s I read. It seemed like your only choice was to read the book, due to popularity. I really enjoy Brown’s style of writing, but didn’t like the far stretches required to make The Da Vinci Code a suspenseful novel and much of the false history. I guess it didn’t really bug me when reading the book. The thing that bugged me was people thinking it was the truth after reading a fictional novel.